New Work at the Blue Heron Gallery! The Blue Heron Gallery is now carrying a selection of my Rhythm Series, Dryad Series, Book of Ruins - Michigan Ghost Towns and Beauty in Ruin series of work. This gallery has the largest selection of my work available in the Traverse City Area. 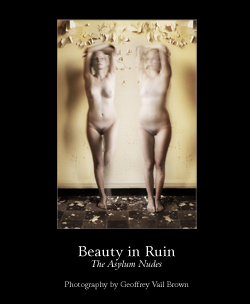 They are also now carrying copies of my Beauty In Ruin book in Hardcover. I should also mention that this is the only gallery that is carrying the limited edition pearl prints from my Book of Ruins - Ghost Towns of Michigan series of work.